2. 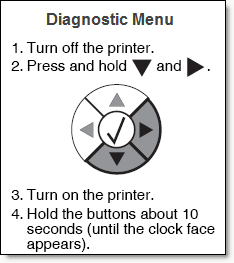 Enter the Diagnostic Menu. Follow the steps below. 3. Select "MISC TESTS" from the menu. 4. Select "Belt Tracking" from the menu. 5. The test will take 10 - 20 minutes. Report the message that is displayed to tech support once the test is complete.